The legacy of John Coltrane still looms large, close to fifty years after his death. The only other musicians of the 1960s who continue to exert such an influence are Albert Ayler and Jimi Hendrix who like Coltrane, died tragically young. 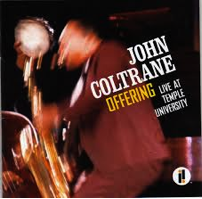 Offering: Live At Temple University is a recording of a concert given on at the University’s Mitten Hall in Philadelphia – his home town – on November 11, 1966 and broadcast and recorded by WRTI, the student radio station. It features his last quintet: Coltrane (tenor and soprano saxophones, flute, voice), Pharoh Sanders (tenor saxophone and piccolo); Alice Coltrane (piano), Rashied Ali (drums); Jimmy Garrison – Coltrane’s usual bass player – was on this occasion replaced by Sonny Johnson. Like Garrison, he plays without amplification so that apart from his solo introduction to My Favourite Things, his contribution goes largely undetected in a sound balance which favours the saxophones. The recording was made by a single microphone, but mono is often preferable to the somewhat artificially separated channels of many stereo recordings of the era (see: the recent The Beatles in Mono debate). The performance was recorded on two reels. The first, beginning shortly after the opening Naima – here played as a quartet, and a tune of such haunting beauty that it remained a touchstone for Coltrane – and running out before the end of Leo has previously been available as a bootleg, but the original tapes have been cleaned up for this release by Resonance Records in 24/96 sound (though there’s currently no digital download) and are available as a two CD or LP set. Due to Coltrane’s virtual deification (there’s even a Church of Saint John Coltrane) which seems to act as a solvent on some listeners’ critical faculties, it has become increasingly difficult to write about his music in terms other than unalloyed praise. As noted by Coltrane’s friend Ravi Shankar, however – and as implicitly recognised by Coltrane himself – his late music can be problematic, although there’s no unanimity as to what exactly makes some of it so tricky. Coltrane always tended towards to the expansive, and the music of his later years can be seen as a search for musical forms and ensembles that would match an increasing range of sounds and the torrent of ideas that flowed from his saxophone. 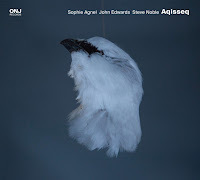 Undoubtedly, it is experimental music – and it can’t have been easy for a musician of Coltrane’s standing to test his musical hypotheses in front of an often unappreciative public – but in order to make a genuine assessment of his musical achievements and those with whom he played, it’s important to recognise that some experiments are only partially successful. Coltrane coined Ali’s drumming “multi-directional” and the same might be said of the quintet as a whole. Coltrane’s solos are not atonal, but polytonal: small melodic cells, centred on a note or chord, which form a stepping stone to the next progression and a sometimes near obsessional examination of the constituent parts of a motif, held together by his commanding musical presence and encyclopaedic technique. 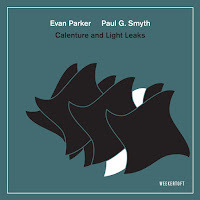 As his saxophone moves further from the source, the playing grows more impassioned, with wider intervallic leaps as a counterpoint, broken notes and smears of a kind first introduced by Ayler employed as expressive devices, before eventually returning to the theme, often played straight. His solos form an arc and although radical, one can detect an obvious lineage back to his original Village Vanguard dates in 1961. In many ways, Coltrane’s playing remained modal right to the end, even though the modes became increasingly sophisticated. In comparison, Sanders is overblowing and honking from the outset, often with only tangential references to the theme, a series of textural blasts that seek to match Coltrane’s energy (his solos usually followed Coltrane’s) but without the progression or underlying musical logic. He subsequently came to wonder what Coltrane saw in his playing. During all of this, Alice Coltrane comps within a clear tonic/dominant framework – one of the most basic tonal relationships – and the tunes, standards or simple ballads played predominately in the traditional head/solos/head form, have a clear pulse which is purposely avoided or abandoned by Ali. All this makes for music in which there is a high level of dislocation and dissonance in a way that’s absent from genuinely atonal music. Where tonal progression is present, the ear expects some kind of resolution – harmonic tension and release – but with this quintet it can be pulled in different directions simultaneously – towards both the traditional and the radical – giving the music a slightly queasy feel, as if it should either settle somewhere or break free from its moorings. For most of its duration it rarely does either, caught between wanting to give the audience something familiar and the need to work new ground, a transition Coltrane did not find easy. The quintet lacks the cohesion of the Classic Quartet or earlier quintet with Eric Dolphy, at this performance due in in part to the circumstances of the occasion: two young local saxophonists take solos – a testament to Coltrane’s generosity to other musicians – and percussionists from a church with whom Coltrane had been sitting in join Ali during his solo in Leo; but like most percussion solos, the more drums there are the less interesting it becomes. There’s a remarkable intensity to the playing, but again no consensus as to what inspired it. Much ink has been spilt on whether it is the result of public issues – the social and political Zeitgeist (both Coltrane and Hendrix put their music first and although sympathetic, resisted overtures from Black militants) – or more private, spiritual concerns. The latter not only troubled Ravi Shankar, but continues to baffle Geoff Dyer in his review of the album for The New York Review of Books (itself the subject of review in The New Yorker). Certainly, for much of the time any spiritual element in the music seems more Evangelical than Hindu, but then again, one man’s turbulence is another man’s spiritual energy. This highlights one of the issues that faced music at the time – the problem of new registers, both technical and emotional. In music, formal and expressive innovation go hand in hand, but the difficulty for both audiences and the musicians themselves was identifying and understanding ways of thinking and feeling that had not previously been associated with the language of Jazz. One should not underestimate the cultural sense at the time that this was a new dawn of opportunities, provoking a headlong rush to push music forward and press on through the boundaries of the old to new frontiers where what had previously been regarded as mere entertainment – to be danced to, or chatted over in clubs – would have the complexity and emotional depth of serious Art. This applied to both Jazz and Rock and was a collective momentum – largely associated with youth – that can never be fully recaptured. It was this passionate, risk-taking aspect of Coltrane’s music that was probably most influential in the period following his death, inspiring everything from the incendiary performances of the original Mahavishnu Orchestra on a good night to some of the multi-reed blowouts, full of sound and fury, of those satisfied with the simple equation: angry people = angry sounding music; or to put it a slightly different way: as long as your head’s in the right place, your music will be endowed with similar qualities – one of the more pernicious inheritances from the 1960s. In years to come, musicians would retrace Coltrane’s path – and that of other pioneers – at a more reflective pace freed from the pressure of being on the cutting edge, and in many respects this process continues. One notable feature of the performance is that there are two brief passages when Coltrane lays down his reeds and chants, Buddhist style, while beating his chest, producing a wobbly sound that’s not very convincing. It may have felt right at the time, but it would seem he did this only during a few performances and not in the recording studio: again, an indication that what we’re hearing is work in progress rather than anything Coltrane would have regarded as a finished product, or worthy of release (however important it might be as an historical document to later generations). The most memorable number – after which the album has been named – is Offering, which was subsequently recorded as a trio (without Sanders or Garrison) in what were to be among Coltrane’s final studio sessions the following February, and appears on Expression (Impulse!, 1967), the last recording sanctioned by Coltrane before his death a few months later. This piece, together with others recorded at those sessions, gives us an idea as to some of the answers Coltrane was finding, and which lay in distillation rather than proliferation. The studio environment allowed him to produce terser poetry – but with the same emotional and technical range as his more loquacious playing in public – and the reduction of musicians to the essential resulted in a more satisfactory balance, as heard at this concert where Offering is played almost entirely as a duet for tenor and (somewhat distant) piano. In the studio version, this was followed by a contrasting duet between tenor and drums, a format that gave rise to what is arguably the most significant product of those sessions: the posthumously titled Interstellar Space (Impulse, 1974), featuring just Coltrane and Ali. Freed from the gravitational pull of other tuned instruments, the subtle trajectory of Coltrane’s playing is laid bare against Ali’s pulses and washes. It was an album that more or less defined a genre. 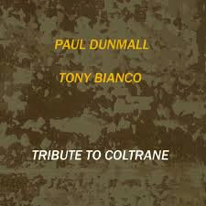 This is the format we hear on Paul Dunmall and Tony Bianco’s Tribute to Coltrane, the second in a trilogy of homages by the duo, though curiously none feature works from Interstellar Space (not a conscious decision, I’m told). The first was Thank You to John Coltrane, and the third (a double CD) should be released by Slam next year. Coltrane’s music has been with Dunmall from the beginning. He speaks fondly of listening to Sun Ship (Impulse!, 1971) laid out in his parents’ loft at the age of seventeen – “a religious experience” – and he played and studied with Alice Coltrane during the three years he lived in America in the early 1970s. Along with Evan Parker, David S. Ware, Kidd Jordan and Charles Gayle, Dunmall is among the few tenor saxophonists to have absorbed Coltrane’s style, without imitation. This may be a tribute to Coltrane, but Dunmall and Bianco have their own distinct voices, even when playing Vigil, the only piece prior to Interstellar Space that Coltrane recorded with just saxophone and drums (Elvin Jones). Both pairs start from the same place, but their journeys are quite distinct. Indeed, Dunmall and Bianco’s richness as improvisers means that their different performances of the same tune can highlight an aspect passed over or only alluded to on other occasions, a comparison that can be made on the release of their third CD which will include a live set from Cafe OTO. The dialogue in this music is not between Dunmall and Bianco, but within Dunmall’s playing as he shifts between carefully demarcated lines, phrases and tonal areas – exploiting the harmonic ambiguity of many of Coltrane’s tunes – set against Bianco’s backdrop of ever-shifting patterns of energy. 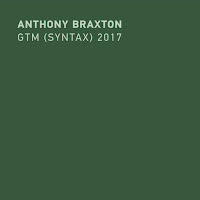 The dynamic is altered for The Drum Thing, with Bianco’s more sharply etched figures to the fore against a sitar-like drone and as with the original, bookended by statements of Coltrane’s memorable theme. 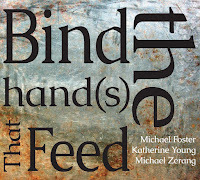 Dunmall’s highly focussed playing explores the kind of development that so fascinated Coltrane – a world in a grain of sand – unpacking some of the infinitely variable implications of even the smallest melodic cell, often in contrasting textures that move from a warm buttery tone to something coarser, slightly frayed round the edges. In Ascent, the tiny rising motif is something to which Dunmall keeps returning afresh, each time twisting and turning in a new direction. By way of contrast, in Reverend King he avoids any great elaboration, leaving the gentle nobility of the melody to speak for itself. It seems that rather less is said about Coltrane the writer, but many of his tunes have become iconic in modern music, bearing a dignified authority that still resonates with many. Despite their apparent simplicity, they produce a fecundity of ideas – something Coltrane may have learnt from his time with Thelonious Monk – and which surely accounts for the continued inspiration that musicians draw from both men’s music. 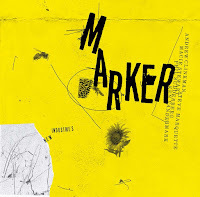 As one would expect from any homage to Coltrane, Dunmall displays a considerable technique, but always sympathetic to the emotional tone of the material, whether assertive, questioning, yearning or conciliatory. This drama – sometimes struggle – is part of its story, and one which listeners have found it easier to accept in the years since Coltrane’s death. Thank you, Colin, for a great read. Although I think I am rather one of those uncritical worshippers when it comes to Coltrane this is an excellent, profound and insightful review, Colin. One of the best I've ever read on this site. Thanks a lot. Rating a hitherto unheard (legally) Coltrane concert at this point is a bit like rating a Caravaggio or Warhol, a Stravinsky or Messiaen. You buy it, and listen. Carefully. Coltrane has had the unpleasant distinction of being underrated by critics. Fortunately, art outruns the squinty eye of criticism. But it and listen. AGM, I’m unclear – are you taking issue with the star rating given, rating the album at all, or the content of the review? The rating system is imprecise and of no great importance. Acknowledging this, one should move on and focus on the content of the review. “art outruns the squinty eye of criticism” – Are you suggesting that nothing can usefully be said about Coltrane’s music, and that one should remain silent? Or perhaps there should be no criticism at all, in which case I wonder why you bother to read the reviews on this blog, other than that it affords you the opportunity to bask in the warm glow of indignation. It would be really nice to hear something positive from you about music, rather than gnomic pronouncements and repeated snipings over ratings.